How Does Wart Remover Work And Is It Effective? So you’ve found a wart on your body. They can creep up pretty much anywhere and be tiny or large, bothersome or completely unnoticed. Even though they can vary in symptoms, one thing warts have in common is their origin. All warts are caused by HPV, a virus you get through tiny breaks in your skin. Most people are exposed to it in places like locker rooms, showers, or swimming pool decks. Although there’s no cure for HPV, many therapies exist that get rid of the warts the virus causes, and in some cases, actually deactivate the viral particles to keep them from making further warts. One treatment readily available to kill these bothersome growths is topical wart remover. How Does It Get Rid Of Warts? Topical wart remover comes in a variety of forms, and almost all of them can be purchased over the counter at any grocery story or drug store. There are some differences between the types, although all them share the same ability to kill a wart. Warts often have black dots on the surface of them. Liquid remover: This type of wart remover comes in liquid form and uses salicylic acid as its active ingredient. Salicylic acid is derived from the bark of the willow tree and is a corrosive material that slowly eats away at the wart tissue, destroying it until so much damage is done that the wart dies off completely. Most liquid wart removal products come with a brush for easy application. To use, brush the acid on your wart and let dry, then repeat twice a day. Results can usually be seen in 1-2 weeks, depending on the wart. Gels: Using salicylic acid as its main ingredient, this treatment works like liquid remover, just in a more solid state. The advantage of using a gel is that it won’t run everywhere like a liquid, giving you more control over the application and less mess. Wart pads and bandages: Sometimes, you just don’t want to bother with applying a topical treatment several times a day. This is where wart bandages come in. They come in forms ranging from a band aid to a cushioned pad, and all are infused with salicylic acid. The bandage holds the acid in direct contact with your wart all day, providing a continuous dose to ensure that you’re getting the most wart-killing power possible. To use, stick the bandage or pad onto your wart and wear all day, replacing it periodically per the products instructions. Not all warts are the same. Genital warts are also caused by HPV, but a different strain of it. They appear strictly in the genital region and can’t be treated exactly the same way as warts on the rest of the body. Genital skin is extremely sensitive and there can be lasting effects if damaged, including nerve damage and scarring, so it’s important that you don’t try to treat these warts using regular products. Always consult a doctor when it comes to genital warts. Freezing kits: These products don’t use salicylic acid as their main ingredient, but a different process entirely. Freezing kits come with a small canister of a freezing agents such a liquid nitrogen or another liquid gas, kept at a very low temperature. When you spray it onto your wart, the extreme cold destroys the wart cells, which in turn causes enough damage to kill the wart completely. 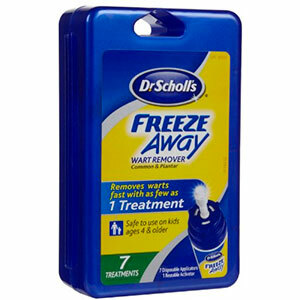 Freezing kits come in a variety, from sprays to cotton swabs and can be found over the counter. You can also get a wart frozen off with liquid nitrogen at your doctor’s office. Skin tags can sometimes be confused with a wart. These flesh-colored pieces of skin stick off from the body and can be either left alone, or removed by a doctor. Sometimes they can even be taken off using wart remover. More details about wart remover for skin tags can be found here. Wart removers can take different amounts of time to work and depend on certain things. Your body’s resistance to medication. When a wart is very small, you can expect faster results, such as one week. For a large wart, expect it to take longer, maybe 2-3 weeks, although it may be shorter. For plantar warts, it may take a while, considering the wart’s natural resilience. Warts can be pin sized or sometimes very large. Warts found on common areas like your hands can be easier to get rid of than plantar warts on the bottom of your feet. Plantar warts have tough skin surrounding them, making it more difficult for the topical medication to get through and penetrate deep enough to kill the wart. Also, there are times when you try and try, and the wart still doesn’t seem to want to leave. This can be the wart’s natural resistance, or your body’s unwillingness to respond to treatment. There are times when you may have to undergo certain treatments by a doctor, one of which is surgical excision, or the act of cutting the wart out of your skin. For more information on wart removal surgery, go here. It’s always a good idea to try a wart remover. When you find a wart on your body, you should definitely use an over the counter remover as a first line of treatment, as results are easy to achieve for low cost. Wart cells are fast-growing, so when you’re trying to kill them, it’s important to be consistent. If you stop in the middle of treatment, wart cells will immediately begin to grow back, and you’ll lose all the progress you made. 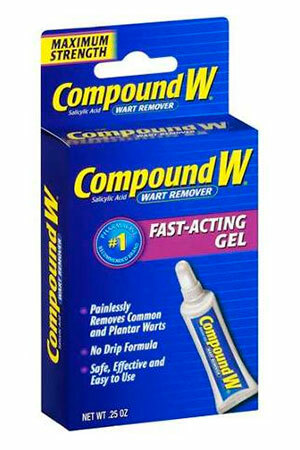 To make sure your wart is gone for good, keep your wart remover treatment consistent until the wart is killed. Convenience: Part of the beauty of using a wart remover is the fact that you can do it at home. No driving to the doctor’s office or having to sit in waiting rooms – you can start treatment right in your kitchen or living room. Also, the over the counter accessibility of wart removers makes the process even more easy. Cost: Have you ever paid attention to the cost of medical care? Doctors charge a high amount just for a visit, and even more if they perform an actual procedure. Even if you’ve got insurance, there can be pricey copays. Over the counter wart removers don’t cost very much and can be found in generic form which is even less expensive. Effectiveness: When it comes to wart killing, you want to use something that works. Treatments at a physician’s office have a high likelihood of being effective, but so do over the counter removers. 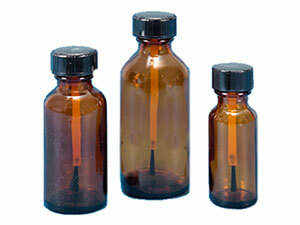 Salicylic acid has been tested and used for many years with excellent results. Freezing agents are used by doctors every day to kill warts. So why not get the same results using at-home products? Of course, if your wart is so stubborn that these home treatments don’t seem to do the trick, seeing a doctor can be a good option. One way in which a wart can be removed is through electricity, using a stream of it to destroy wart tissue. There are even electronic tools you can use at home. 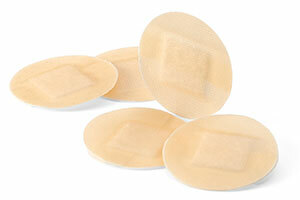 To read more about electronic wart removers, click here. 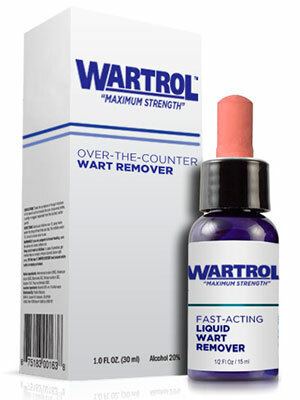 So before you rush out to get a procedure done, look at your at-home options first and consider using a wart remover. They’re easy to get, and can have you wart-free in no time.